The news broke late last night that Madden NFL executive producer Phil Frazier is departing EA Sports. That has been confirmed today by the company which also noted that Roy Harvey will be taking over the position going forward. Harvey has been the executive producer on the NCAA Football series and joined the company in 2003. That leaves the NCAA head spot left open and likely to be filled in the near future. This all comes on the heels of Cam Weber taking over as GM of the football products at Tiburon earlier this year and having spoken about “three year plans” and the expectation that the Madden development team will actually be doubled. It can’t help that there is so much unrest at the top along with other less known names that have left recently. The NCAA series has stayed arguably more consistent than Madden this generation and offered a better feature set (minus the gimmick-heavy years) however has seen less advancement in terms of presentation and gameplay as of late. The series has also been less open in terms of community interaction and social media compared to its Madden counterpart. Though it is impossible to know exactly what influence Harvey had over feature selection and communication levels those things have to be considered when looking at how the change might impact Madden. Also worth noting in relation to the studio is Jeremy Strauser having left his post as E.P. of EA Sports NBA – which is still just getting off the ground after the studio move – has led to Dale Jackson taking his place. 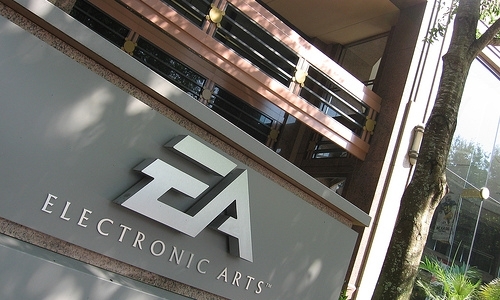 Jackson started with EA Sports in 1995 and comes off having led EA Sports MMA. With no future for that series he was moved over to the sim NBA project. There is a lot going on at that studio behind the scenes and I’m hearing that more recognizable names may be leaving in the coming months as well. The social gaming boom has apparently made for some very appealing opportunities. There may very well be a disruptive environment at Tiburon causing so many to leave or it could come down to those developers simply looking for a change after many years. At this point it is all up to interpretation and it should be expected that EA will downplay the magnitude of the disruptions regardless.